Democrats and the media want you to believe that the "Occupy" movement is about "the 99%". The reality is that it is an extreme left movement that wants nothing but the complete collapse of capitalism. Take this observation from Charles Gasparino at the New York Post. His observations are echoed by Kevin Williamson at NRO. Almost every organization present at OWS is explicitly communist or socialist. Almost every piece of literature being handed out is explicitly communist or socialist. I don’t mean half, and I don’t mean the overwhelming majority — I mean almost all of it. ...almost every organized enterprise and piece of printed material I have encountered has been socialist or communist. It’s been a long time since I saw anybody peddling books by Lenin. It’s been a long time since anybody told me the Ukrainians had it coming. And take this study by Democratic pollster Doug Schoen. 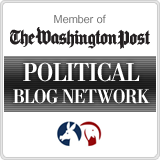 Our research shows clearly that the movement doesn't represent unemployed America and is not ideologically diverse. Rather, it comprises an unrepresentative segment of the electorate that believes in radical redistribution of wealth, civil disobedience and, in some instances, violence. Half (52%) have participated in a political movement before, virtually all (98%) say they would support civil disobedience to achieve their goals, and nearly one-third (31%) would support violence to advance their agenda. So, what does this have to do with Issue 2? "We Are Ohio", the union front group who is fighting against the reasonable reforms to public employee collective bargaining, is embracing the movement. Take a look at who "We Are Ohio" is in Jason's previous post. They are made up of the union money that fuels them. And the unions behind most of WAO's millions all fully endorse these wannabe Marxists. Take the SEIU, for instance. They are a financial backer of We Are Ohio ($200,000+), and they are all-out in LOVE with Occupy Wall Street. In their own words, they tell them "We've got your back, we will join you in the streets, and we will not let up until we bring good jobs back to our communities." The AFL-CIO, We Are Ohio's largest singular backer of all ($1.5 million), is also hog wild about the communists camped out in Zuccatti Park. AFL-CIO main thug President Richard Trumka issued a statement saying that these extemists are welcome to camp out in their union halls. Same with the Communication Workers of America ($1,000,000 to WAO). You know, the ones who were harassing and intimidating Verizon customers and employees a couple of months ago? They're on board too. 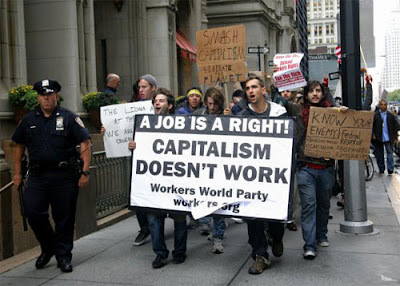 The 700,000 members of the Communications Workers of America of strongly support the Occupy Wall Street Movement. The Occupy Wall Street demonstrations are spreading throughout the country. We will support them and encourage all CWA Locals to participate in the growth of this protest movement. AFSCME, another huge group behind WAO ($2 million+ from various councils), is there too. They fully back Occupy Wall Street and even link to them on their website. These 4 unions ARE "We Are Ohio", (and also the Democratic Party, whose leaders have also given their blessing to Occupy Wall Street). 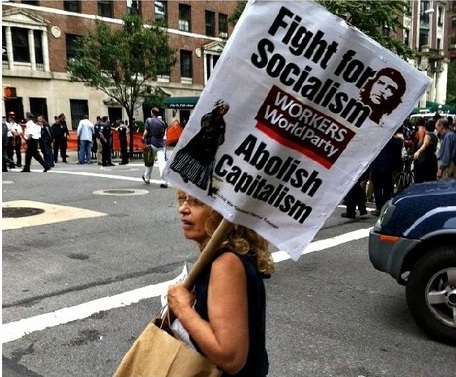 There can be no separation between them, and they have publicly declared their support for these extreme, hard-left socialists camped out in Manhattan. I think it's a good thing that the Occupy movement has captured the news. It has really exposed who these people are, how they think and what they want for America. Almost a third of them say they would support violent means to bring down capitalism. Where do these people think jobs will come from if you tear down the capitalist system on which America's economy, and thus the world's economy, is based? These same people who want to tear down American capitalism in a violent revolution, are the same people telling you how you should vote on Issue 2. Tomorrow, we'll show you that not only does We Are Ohio support the radical idealogy of Occupy Wall Street, they directly employ their own little radical who is coordinating the socialist Occupy movement right here in Ohio. Stay tuned. And vote YES on Issue 2. OEA Employee: "OEA's attitude is about power"
OEA Employee: "Shame on you, OEA"
'Promised': The Latest Lies by "We Are Ohio"